Please note, this is not an iRest Institute Retreat and does not count towards iRest certification. Restore, reconnect, renew. Awaken to your innate sense of well-being and open your heart to abundant joy, essential wholeness and freedom. 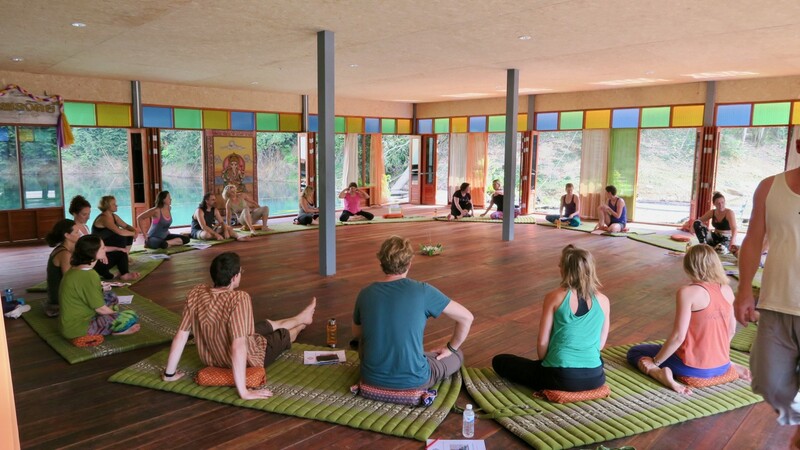 Breath Sensing/Pranayama, iRest® Yoga Nidra, meditation in motion, self-inquiry and periods of silence form the foundation of this beautiful retreat. Indulge in exquisite Thai food, jungle excursions, calm-water kayaking, optional cave meditation and a comfortable floating bungalow as your home on the remote Khlong Long Lake in Southern Thailand. Whether you are new to meditation or have an established practice, embodied meditative presence reveals your natural state of peace-love-joy and an even deeper abidance as infinite peace and stillness. We can think of no better location to support this abidance. Periods of silence, from 8:30 pm to 8:30 am and some silent spaces during the day enhance your inner inquiry and deep rest. Individual requests for more silence will be supported by the teaching team and staff. Your home away from home is a comfortable floating bungalow at a unique and spectacular venue offered by Jungle Yoga (www.jungleyoga.com). Register early as bungalow-availability is limited. The venue is exclusively reserved for this retreat. Khlong Saeng Wildlife Sanctuary is a remote, pristine lake inthe interior of Southern Thailand. participants will take a one-hour, inexpensive flight from Bangkok.